As I was marveling at the bright colors of the watermelon, eggplant, and tomatoes against the typical Omani cream-colored backdrop of souq buildings – I felt that something was ‘off’ – but I couldn’t put my finger on it. 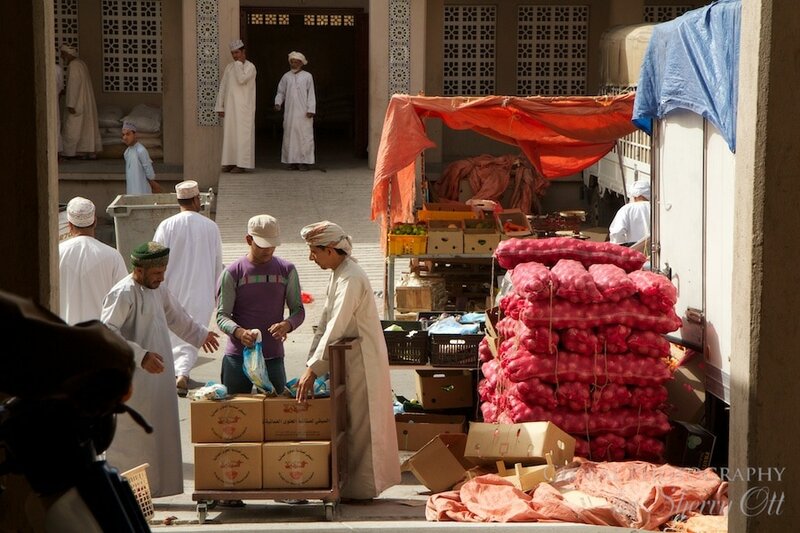 I continued to walk around the Nizwa souq (market) with our guide Zahar but since I was taking pictures I was always lagging behind running to catch up. As I looked through the viewfinder and framed up a shot – it hit me. I pulled the camera from my face and looked around once again – there were no women in this market. Not one. All of a sudden I became quite aware of my own femininity and that of our Exodus hiking group which included 8 women. I asked Zahar why there were only men at the market. Granted – I was well aware that I was in a Muslim country, but I still normally see women at the markets doing the shopping for produce and household goods. Zahar simply said that traditionally the men did the shopping and the women took care of the children. I asked him if the women or men cooked at home and he said that traditionally the women cooked meals. So this was a first for me – a souq full of men doing the shopping. Granted all countries are different when it comes to the role of women – it’s one of the things I like to dig into when I get to a new country. In fact Lisa Lubin just did an enlightening recent write up on Bhutan and the matriarchal role of women. 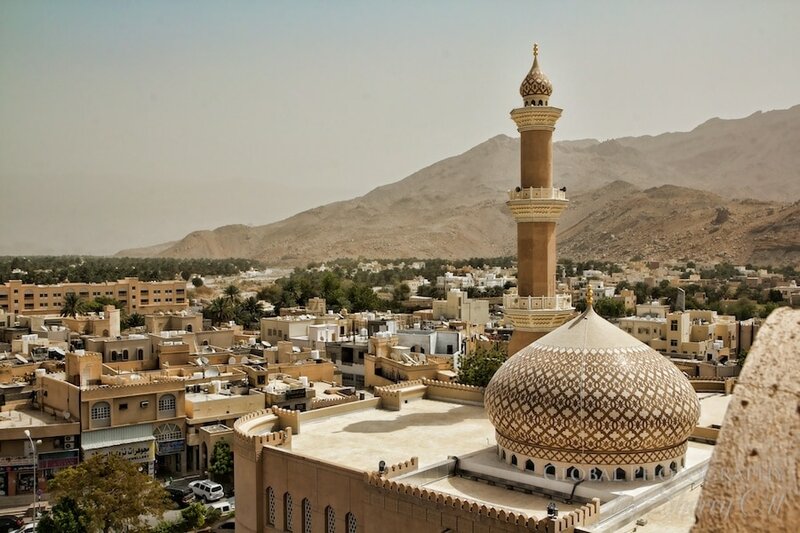 Some countries/cultures are more dictated by religion than others, but the more I talked to Omanis, it appeared that in Oman the lack of women at the market was a bit of both – religion and traditional culture.